Time for another Pinball Heroes guest and this week it's the man behind Cirqus Voltaire, Theatre of Magic & Tales of the Arabian Nights! Let me start by saying John has been a really great guy helping me put the interview together and if you have any questions, he is happy to answer them. Leave a comment at the bottom of the interview and I'll make sure John sees it. Or if it's not suitable for public consumption, drop me a line and I'll forward it on. The Pinball Blog. Your first production game came a while after you'd started in the industry. What were your roles before World Cup Soccer and was there a particular industry figure you most enjoyed working with? John Popadiuk. Well this is a big question....we will need to do another interview. I started working at the Bally Pinball Division at the ripe old age of 19! 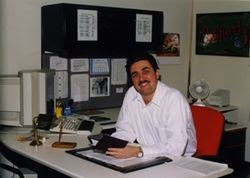 Norm Clark brought me in to work in engineering with legends like Jim Patla, Greg Kmiec, Gary Gayton, George Christiansen, Greg Freres, Paul Faris, Ward Pemberton, Claude Fernandez, etc.....My first job was lab tech in the whitewood lab. It was a wild job! At that time all themes were attached to games AFTER the whitewood was playing well. Not the way we do it today. I was able to work with everyone at Bally and eventually Williams after Bally was bought in 1988. To meet Steve Ritchie the first time was amazing...after playing and operating all his games. Same for Greg and Jim......the Bally group was a big family, we would all work together, and then hang out later at nights all the time. Many got married just becuase we all were always doing stuff. Sometimes we would go into the city and mix with the Williams designers for a night of gossip.....something that was not allowed. As far as who i enjoyed working with...that's a tough one. As a designer you are linked to so many people in the factory and in sales support. But honestly, and Cameron Silver or Duncan Brown might agree, probably the factory people I enjoyed working with the most. They were responsible for building your game from scratch, so we would really *live* with them daily and get to know them very well. Their family's, dogs, grandmas, etc....Games going into the carton, World Cup Soccer did almost 300 a day, meant jobs for us and revenue for Williams or Bally. In the old days I heard they used to ring a bell at Williams everytime an order of games were sold. We all worked our butts off on the assembly line, some days sweating it out if the air was not working. Great memories of a great time. And that new pinball smell.....ahhhh!! TPB. How did you get your job at Bally? JP. I bought Roger Sharpe's book on Pinball.... and wrote Norm Clark a letter. He invited me for a factory tour...and at lunch I told him I was not returning home and he would have to hire me. And he did, on the spot! I had been working for a pinball jobber for a while, so I knew the ins and outs of pinball repair, construction, etc......so I was useful on day 1 at the Pinball Division. Bally became my family and I met then a host of great lifelong friends. TPB. Towards the end of the 1990s the powers that be asked designers to come up with something different to save pinball. Your own concept looked for a while to possibly be the direction they were heading before the Pinball 2000 idea was chosen. Can you tell us more about it? JP. Well after TotAN, I knew pinball needed something new. I worked in my off hours on a new project that was to take a Nintendo Game System and merge it to our pinball hardware. Only a few people at WMS + Midway knew what I was doing...but the idea of a digital commercial pinball game seemed to be a natural extension. Kids know pinball today from the computer. So I worked on this at WMS from my original designs I showed Jim Patla in 1993 from a very cool game called TILT. It was a hybrid game that had a digital ball on the playfield. The real ball would "digitize" into the computer ball....really cool......We experimented with this on ToM and Cirqus Voltaire. 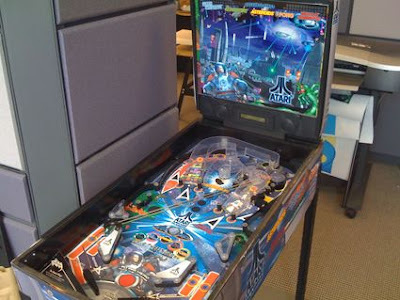 So when I was asked to come up with something, it was easy to get the pinball 2000 concept game built. Originally it was just called Virtual Pinball. The whole mock up was completed in 3 weeks. We chose Mace ( a Midway Game) as the theme because we could get art from Midway for the cabinet and playfield. Mark Weyna and Lyman Sheats did the other work, actually Lyman has a very basic game built with some code and effects. We presented a full size working mockup to management...and they decided to move forward with this idea and give us 2 years to turn around pinball. This design had a new backbox with a digital screen and art. The ideas was to leave the playfield the same for now (as it was buildable) and introduce this Nintendo *feel* into the game via backbox art. 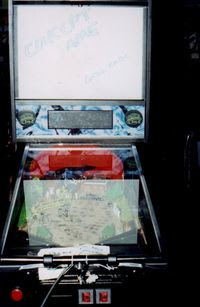 It had a new cabinet that would fold up so the operators could easily transport the game. Overall it was a real jolt of pinball excitement for us in engineering, and it was a time that the whole pinball group at WMS were unified as one force to save pinball....all Ego's aside. But that did not last for long unfortunately. The pinball 2000 story really starts from here......a loooooong story......with an unhappy ending. TPB. You have a very good knowledge of the history of pinball, how did historical pinball machine features influence your own designs? JP. Well I think we have a mandate to keep the tradition of pinball alive (King for a Day)....so keeping the great pinball features in new games is a super idea. 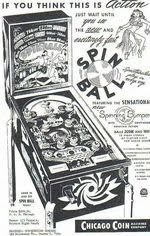 Most of what we know as modern pinball was designed a long time ago: spring plunger, scoring holes, bumpers, double level rails, flippers, magnetic things, etc......so not really much is new. It makes sense to keep the *retro* cool pinball stuff current. Ties the modern game with the historic game. Actually a lot of cool stuff was built 75 years ago, inside great rule sets like Contact, Ballyhoo or Spinball (really old games). TPB. You're working at Zizzle now. With that fella down under not making pinball machines and times reportedly being tough at Stern, is there a possibility we could see an arcade sized pinball from Zizzle? JP. A full size game was never in the plan for Zizzle, a completely different business model to support. It could be done relatively easily, but actually the 5 Zizzle's made to date took almost the same time to design and engineer as a commercial game. Building a full size game that actually looks cool and makes money is a tall order. TPB. Would you like your children to follow in your footsteps or are you hoping they'll get proper jobs? TPB. I believe you appear in a video sequence on Star Wars Episode 1. Did you get to choose your own character or was the force strong with the casting staff? JP. Yes I am the motion capture character of Qui Gon Jin from Star Wars. For SW:EI we had a lot of animation to do, so it was decided that capturing real footage would fit our timeline better than do all the animations from mocap + Max/Maya work. Which is very time intensive. I had long hair like QG and kinda the same build...so it worked. I had to take some Jedi lightsaber training as well...so I didn't get my hand cut off. Kevin O'Connor is Darth Maul...we used to practice the scenes at his house in the driveway! All the neighbors would stare at us. TPB. Any idea why Cirqus Voltaire was so popular among the gay community? JP. The happy music and bright colors? Who knows. But it is one of the most popular home games today! Was supposed to be our homage to the Voltaire and the French...who brought pinball to America in the 1700's. Gotta' love the French. TPB. You told me recently that the next Zizzle game is an Atari license for the first time in 30 years. Did Atari think you were joking when you approached them about making a licensed pinball product with their name? JP. Actually Atari is very nice to work with. They just want to rebuild the brand, but it is cool that Superman was produced about 30 years ago! The Zizzle version of Atari Classic is really great, good music + sfx. Fantastic new art package. Another Zizzle team effort! TPB. Tell us more about your job today at Zizzle, your responsibilities and whether you got to give yourself a funky job title? JP. As the Zizzle Creative Director (not my title choice) I was responsible for anything creative and graphic. From toy ideas, to packaging to designing tradeshow exhibits and dvd demos. We had a small team of professionals who did a ton of work in short order. Currently I am in the process of building a new design and game development company here in Chicago.....more news on that very soon! TPB. Who would YOU like to see featured as one of our Pinball Heroes and why? JP. A tough one. I think all the folk behind the scenes who make pinball are really heros. It's a tough climate for the game today, and has all but vanished from the popular culture. TPB. Finally, we always ask our Pinball Heroes to sum up their involvement in pinball with one word or sentence. JP. I have been allowed to be *King for a Day*...and hopefully will be allowed to be again! There are more pictures for this interview below. Many, many thanks to John Popadiuk for his great answers and more Pinball Heroes will be featured soon. Jack Skalon, who engineered all of John Popadiuk's games. "The best pinball engineer ever." He is checking the engineering sample to make sure all the parts fit within tolerance before prototype production. The white SW works-like proto was built with 1 mode, and the cabinet was built only on 1 side....for a big presentation....prior to WMS agreeing to the license from Lucas. The "Kid" Jake Lloyd playing the SW:EI game at the Star Wars convention in Denver. The game was transported all wrapped in black plastic during shipping per Lucasfilm! Cameron Silver and John Popadiuk building proto#1 in the lab. "Cameron would have built all the games by himself if he had the time". The Pinball Blog: So you're Greg Kmiec. You designed 30+ games including EM, solid state and dot matrix in a career spanning 3 decades. Is there a particular machine you are most proud of and why? Greg Kmiec: Historically speaking, the game that I am most proud of is Xenon. I designed Xenon as Bally’s first multi-level game with the pinball going under a part of the playfield (the tube.) (All of the contemporary games were single level.) The artist for the game, Paul Faris, saw the clear tube and he said it reminded him of a neon sign. He wanted a futuristic name for the game. He came up with the name Xenon (an inert gas like neon.) Paul did a terrific job with the futuristic artwork. TPB: Who that you worked with was a highlight and who are you still friends with today? GK: Without question, the person that I worked with who was a highlight in my career was pinball artist Dave Christensen. Wizard! was just the 4th game I ever designed and the attention Dave’s artwork generated on that game was unbelievable. The artwork was so different from contemporary games. It really put that game over the top. Bally Marketing VP Tom Nieman should be credited for his brilliance in securing the Wizard! naming and artwork rights. When I designed the pinball game Wizard!, I had a different theme in mind. I designed the bonus lights in a W as the first letter in Wizard. I had envisioned a medieval-themed Merlin-type wizard as the main character in the game, flipping over the Flip-Flags with magic spells. The Wizard playfield was given to Dave for artwork. Dave had quite a reputation as an eccentric artist. Everything you’ve heard about Dave’s eccentricity is true. But, isn’t that the case with every great artist? 35 years later, I am still good friends with Dave. We communicate regularly. TPB: There was break of several years between Transporter the Rescue and Breakshot. What was your brief with Capcom for the machine and how far did you get with other pinball designs that never made production before Capcom pulled out of pinball? GK: I designed a game called Red Line Fever just as Capcom was going out of business. It was a beautifully designed motorcycle themed game with actual handlebars mounted on the front of the cabinet to actuate the flippers, movable ramps and directionally timed speed-measuring features along with several severe playfield mechanical animations. I brought the game to a Pinball Expo one year and a motorcyclist tracked me down and told me it was just like riding a motorcycle. That comment made me feel good. The concept of using handlebars to control flippers on a pinball game was quite unique and years ahead of current thinking in pinball game design. TPB: Stan Fukuoka created some alternative art for Breakshot, which I'm guessing had a more adult edge. Was the art simply not suitable for the machine and have their been other instances in your career where the artwork was a way off what you had envisaged? GK: I was brought into Capcom to design an economy game. 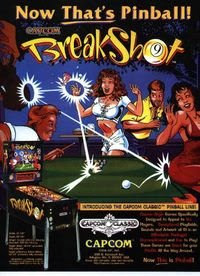 Breakshot was designed as a single level playfield with an economy board set to distinguish it from 1995 contemporary games. Capcom wanted to offer a game to the operator at a lower price. The original artwork by Stan was indeed adult rated. The original name of the game was Cloud 9. The artwork had the ancient Gods looking down on the 9 planets of our solar system (Pluto was still a planet at the time.) As can be expected with Stan’s creative license and extreme talent, the female Gods were very scantily clad (if at all.) The president of the company saw the artwork and although he personally liked it, he thought it would be hard to sell it to family recreation centers. So the 9 planets became 9 pool balls and Breakshot was born, with the pool games 9-Ball, Strikes and Spares and rotation. Artwork also changed on Spy Hunter. Originally, I designed the game with an Elvis theme. The bonus lights represented the push buttons on the front of a juke box. Each button pair represented a different Elvis song. Aligning 2 bonus lights played the indicated song. The only problem with that was that at the time, Bally had not secured the Elvis license. I was a little ahead of the curve. 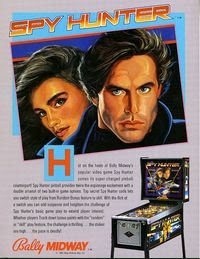 At the time, Bally had a video game called Spy Hunter and wanted to cross promote it with a pinball game. The Elvis game was a completely finished whitewood with hand drawn lettering indicating scoring features. My boss (ED: Norm Clark) gave me 24 hours to change the whitewood from an Elvis theme to a Spy Hunter theme. I disassembled the entire top of the playfield and ran a belt sander across the entire playfield eliminating the juke box instructions. It took most of an overnight effort to re-letter the instructions to a Spy Hunter theme, reassemble the top of the playfield and trouble shoot the result. Let me tell you that sawdust does not mix well with playfield switches. TPB: I'm led to believe City Slicker was planned to include a remote flipper button to enable an opponent to interfere with the game. Can you tell us more? GK: City Slicker did indeed have a remote controlled flipper on the playfield. I designed City Slicker as a gun-fighting themed game. The Roaring 20’s styled artwork reinforced the gun battle theme. There was a gun handle attached to the pinball cabinet by a 6 foot steel cable (just like the gun handles used in video games to shoot at the screen.) The concept was to have your opponent stand alongside of the cabinet and give him control of one of the flippers on the playfield. 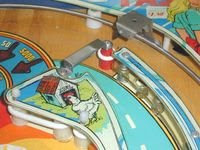 The flipper was positioned mid-playfield to shoot the pinball into the out hole on an exact shot. The pinball player could battle against the opponent’s shot and save the pinball. It was my attempt to make pinball more interactive instead of taking turns and watching others play their turn. The feature was years ahead of its time. TPB: Gary Flower sometimes wears the most ghastly 'pinball' jacket I've ever seen. It's based on the Wizard! playfield and he blames you for the purchase, but I believe the story behind it's existence is a little strange, can you tell us more? GK: Actually, that Wizard jacket was all the rage back in the day. You can blame Rob Berk, the founder of Pinball Expo, for Gary’s jacket. Rob had arrived in Chicago, the location for Pinball Expo, several days ahead of the show. As is our tradition, Rob, Gary, Jim Schelberg (editor of Pin Game Journal) and I met to discuss the nominees for that year’s Pin Ball Expo Hall Of Fame induction ceremony. Rob then wanted to go shopping in downtown Chicago at Water Tower Place on Chicago’s Magnificent Mile. World traveler that he is, Rob wanted to acquire something that had the Chicago look. All of us went to a clothing store in Water Tower Place. I think Gary was the first one to spot an entire rack of Wizard jackets. No one in the industry had even heard about the jackets. 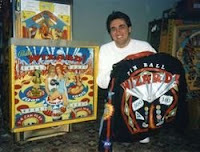 The jackets were made with a pinball theme and the word Wizard across the back in Dave Christensen’s style of artwork. Needless to say, we all bought jackets and informed the rest of the industry of our find. So, I believe that Gary was the first to spot the jackets and unleash that fashion statement on the industry. TPB: Your surname is spelled on the Spy Hunter targets and the computer on Vector . Your nickname Gypsy appears on Wizard. Where did the nickname come from and was there any resistance to designers putting their names in games? Any more subtle ones we may not have noticed? 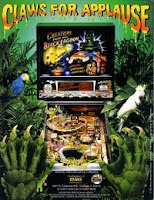 GK: Dave Christensen was the first pinball artist to put the name of the artist and designer on a Bally pinball game. The artist and designer had to communicate quite regularly about the different aspects of game features and scoring to be represented on the artwork. And Wizard! was quite a break from contemporary pinball artwork. At the time of the development of Wizard!, I was moving residences. As anyone can tell you, moving residences before the internet was invented involved a lot of legwork and waiting for utilities to be disconnected at one place and reconnected at another. And as anyone in the industry can tell you, there were deadlines that had to be met (in Wizard!’s case, the artwork had to be approved by the stars on the back glass and also by the movie company.) Dave could not get in contact with me as I explained to him later that I was in between residences. That is when, in his infinite creativity, he labeled me as a gypsy running around without a home. That nickname never really meant anything to me or anyone else and it never really stuck with me. Of course, industry insiders know that I always included a single red playfield post on every game I designed. Here is the story behind that: When I was first starting out in design, it was industry policy that a designer could not put his name on a game. That was to prevent another company from finding out who designed what game and hiring them away from their current company. That was archaic thinking. In fact, literally within hours of a new game being placed at a test location, everyone in the design industry knew who designed what game and what features were on it. Anyway, under this company-imposed anonymous design decree, I decided to set apart the games I designed. Bally was running two production lines at the time, a pinball line that used white playfield posts and a bingo line that used red playfield posts. I just installed one red post on my pinball games, usually in an inconspicuous spot on the playfield. I kept that secret for quite awhile. Then it became a Kmiec game tradition. TPB: Bow and Arrow was predominantly made as an EM but it was also Bally's first attempt at a solid state machine. I was quite surprised to see Norm Clark credited with the software for the solid state game. How did that come about and what was it like working with Norm? GK: That’s an urban legend. Norm Clark never had anything to do with the software on Bow & Arrow. At the time at Bally, Norm was head of the design department and Frank Bracha was head of the software department. Obviously, Norm’s name was well known in the pinball industry, Frank’s was not. Norm and Frank were both interviewed about the conversion of Bow & Arrow from electro-mechanical control to solid state control. Someone, somewhere, somehow in some article credited Norm with Bow & Arrow’s software conversion. I guess it was a more interesting story talking to Norm about pinball than talking to Frank about bits and bytes. Frank really headed up Bally’s solid state conversion effort. 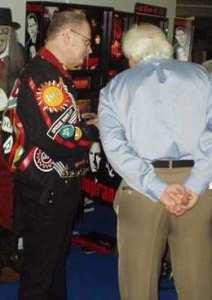 As to working for Norm, he really taught me about the business end of pinball. Up to then, I designed games that I thought were fun to play. Norm introduced me to the profit and loss of pinball. The entire industry was becoming cost conscious. Norm said that a designer couldn’t put every feature into every game. There had to be a reasonable cost to the game. I always introduced one new feature in every game I designed. There is a progressive thread of one new feature in all of my games. Of course, the way I got to that point is an interesting story: Norm was the head of the design department at the time. 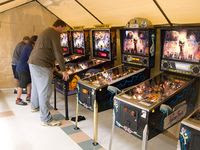 He was charged with keeping the cost of the pinball product within certain price points as well as keeping the games interesting and desirable. He pretty much left the designers alone until the final review of a game. Then he would invariably take out a feature he deemed too expensive. To get around that, I always put in two new features in every game, one that was extremely costly that I knew Norm would take out and another less costly one that I really wanted in the game. That way, when Norm took out the costly feature and left in the other one I really wanted, everyone was happy. TPB: Word on the street is Xenon was changed to be a multiball game at the last minute to compete with other manufacturers taking this step. Did you need to make wholesale changes to your design to accommodate multiball? 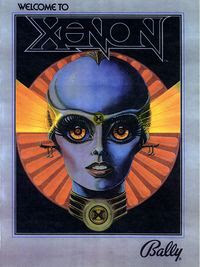 GK: Xenon was originally designed as a single ball game. The playfield had a ramp and a tube shot. It had great artwork and an infinity back box. This total package was complete. Bally’s marketing department had heard of a competitor’s talking game. That’s when the decision was made to include speech. The decision was made to one-up the competition by utilizing a female’s voice, as dictated by the artwork. 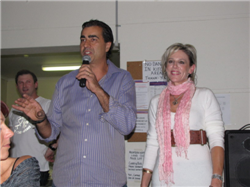 Bally’s marketing genius Tom Nieman secured the popular, technically astute, new-age recording artist Suzzane Ciani to supply the sounds and voices in Xenon. Ciani is known by some in the industry as the Goddess of Pinball. So now Bally had a game with a multi-level playfield, great artwork and great sounds. Then, Bally’s marketing department heard that a multi-ball game was planned for release by a competitor. Well, Bally couldn’t be beaten at their own game of one-upmanship. Bally wanted to sell a multi-ball game also. Alan Riezman was an electrical engineer at Bally. He was part of the software department. One day, he was helping to percentage Xenon. During lunch, he threw two balls on the playfield, just to see how it would feel. He liked the action. He showed me his idea and I liked it. I told him to take his idea to the marketing department. Within hours, Xenon was transformed into a multi-ball game. Credit is due where credit is due, to Alan. TPB: Who would YOU like to see featured as one of our Pinball Heroes and why? GK: From strictly an insider’s technical point of view, I’d recommend Doug MacDonald. Doug is an electrical engineer who was intimately involved in Bally’s conversion from electro-mechanical games to solid state. An interesting story can finally be told now that all of the principles are out of the industry. When Atari first wanted to enter into the pinball industry, a representative of Atari contacted me at Bally and offered me a job. I was having some success at Bally at the time so I refused his generous offer. It seems that Atari then promoted an unknown technician working for them at the time named Steve Ritchie to a pinball design position. Many years later, when my supervisor left Bally to work at Williams as head of pinball design, he asked me if I wanted to leave Bally and work at Williams, as they had a position open. Again, I was having some success at Bally and refused his generous offer. It seems that Williams then consequentially hired an out-of-towner named Steve Ritchie. The rest is history. TPB: Finally, we always ask our Pinball Heroes to sum up their involvement in pinball in one word or sentence. GK: I was fortunate to experience the industry during the change over from electro-mechanical to solid state control and the introduction of promotional themed games in what I consider the Golden Age of Pinball 1975-1985. Many thanks to Greg Kmiec for his great answers and we have more Pinball Heroes coming soon. We've interviewed machine designers, authors, historians and players here on The Pinball Blog for our series of Pinball Heroes. But what about people who collect the things and play a part in the social side of the hobby? There are a number of well documented collectors in America, so we're taking a cyber-trip over to mainland Europe and interviewing a guy who lives in Groebenzell near Munich, Germany and was the co-founder and long time president/vice president of the German Pinball Association. Martin Wiest. The Pinball Blog: Let's start at the beginning. How did you get into pinball, what was your first machine purchase and when did you realise you'd moved from enthusiast to serious collector? Martin Wiest: Being a small child I was already excited about all types of coin op machines. I checked every gumball machine for stuck coins and started early to check German money winning machines for loose change. Being about 14 years old I started to play my first games on pinball machines located in many bars and restaurants in Germany. My first coin-op was a money winning machine bought for about $100 when I was 15. In the upper 3 classes of german high school I had 2x2 hours of spare time every week. As my school was downtown in the city Luebeck (North Germany) we'd sneak around to find some amusement and finally started to play pinball during all of these hours. We played either in restaurants, grills and bars or we tried to play in arcades which was not easy as we weren't 18 years old at the time. I worked for 4 weeks in a factory and with part of the earned money I bought my first game - a Williams Stratoflite. I did not last too long, then I bought my first electronic game, Trizone, starting my 'career' as electronic pinball enthusiast and repair expert. TPB: How many machines do you have now, and do you have a personal favourite? MW: For many years my personal collection was just 2 or 3 games, but as I moved into my own house in 1995 I started to fill the basement and then all spare rooms of friends and finally our first rented gameroom. Currently I own about 65 games, where 55 or even more are keepers that I like to keep forever. I cannot say which is my favorite game - this would be unfair as there are several games I like most and this changes over the months. On my shortlist are Star Trek: The Next Generation & Twilight Zone great gameplay on wide body, Spider-man for the best STERN game, Revenge from Mars for great concept and humor, Safecracker for being so small and still a great game, Eight Ball Deluxe for great gameplay and sound, Flash and Firepower - for awesome speed and fun so early, Big Bang Bar for beeng the best Capcom game with great humor and some more. TPB: I believe you're a Star Trek fan. Do the machines released under the Star Trek license satisfy both your pinball and trekkie cravings? Would you like to see another Star Trek pinball made and based on which series or movie? What unique mode would it have? MW: The Data East Star Trek was my first DMD game as I am especially a fan of Kirk, Spock and Bones (and their dialogues). Although the gameplay is rather poor, the artwork includes pieces of so many episodes and the beam-up display are really awesome. 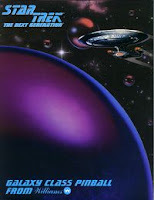 STTNG was I believe my third DMD game and is one of the best games for gameplay in my opinion. The Bally Star Trek playfield and backglass are decorations on my wall. If I could design another Star Trek game this would be probably a mixup of all Startrek series - with a mode with Kirk & Spock, one TNG mode, one DS9 and so on - and all characters being shown on artwork and DMD. It would have a cannon to fire photon torpedoes and a device to beam the ball to another place ... where it shows up (which in fact is a second ball). TPB: You're a Steve Ritchie fan and share a passion for motorbikes. I understand you spent some time with Steve and cooked some fish under the bonnet (hood) of a car, can you tell us the story? Steve got 2 boxes of smoked fish as a present from in fan in Bremen. Being on the highway to the Netherlands for the next 4 hours I decided to buy some rolls, some water and eat the fish out of the box on a parking lot near the highway. We ate the fish with fingers out of the box and it was absolute fun!! After those days in Europe my wife Anja and I were invited by Steve & Dianna to visit them at their house in California. 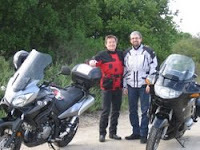 In May 2008 we made this real, rented a BMW bike nearby and had 4 great days together with the Ritchies and made 3 awesome bike trips in the area of Hollister on great roads with great nature. Steve will stay friends forever and I hope to see him as often as possible. TPB: I've not been to Expo (yet) and it's a must-see event for pinball enthusiasts. What emotions did you experience on your first visit and what have been your Expo highlights? MW: For enthusiasts like me the pinball expo is a must! 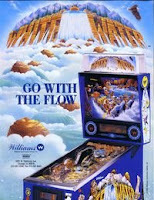 I am really sad that I did not know that earlier than 1999 during the high times of pinball. Besides the experience to see the factory where machines are built, it is the spirit of pinball coming from the the people who were and are behind pinball that makes it worth visiting expo. I never play many games at expo - only very rare games are attracting me - it is the talk to the people behind pinball and to people from all over the world that makes me visit. TPB: I understand in the 1980s German operators could only use machines less than 2 years old which resulted in a number being exported. Does that make it more difficult for German collectors to find older machines? MW: The 2 years rule was only valid for money winning machines, pinballs could be operated longer. Nevertheless, most operators did not want to sell games to private owners, as they thought these owners would never spend money on operated games .... and would call every week for technical help. Due to these facts many games were just trashed - even burned in the garden of an operator or just sold by traders to foreign countries. Still, as there were so many games operated in Germany in the early electronic time - it is still easy to find a Firepower, Flash or other successful games from that time. TPB: You're ranked 5th in Germany and just outside the top 50 in the World as a player which is quite a high standard. You're coming to the UK in the summer for the IFPA World Championships. Are you hoping to win it? MW: I am not a bad player - sometimes really good, but I am playing in another league than Lyman Sheats or Keith Elwin. So am really honored that I was positioned well enough to qualify for the IFPA 2009 and so I took the chance to enter. I hope that I get a place in the middlefield which I would see as a great success already. My objective is to see the TOP 10 players playing, to talk to them and to have fun. Usually I am lacking the time to play, as I am fixing my games or fixing circuit boards for friends all over Germany. During tournaments in Germany since 1997 I've often been organising the events - so I could not play or at least not concentrated - I am planning to play more in the future - 47 is old, but not too old for pinball. 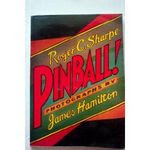 TPB: You spent some time with Roger Sharpe at the GPO recently and we've heard you know Steve Ritchie, but who is your own Pinball Hero? MW: Knowing them both know very personally I can only say - they are both my pinball heroes. Steve, because he designed some of my favorite games that i already played 30 years ago - knowing nothing about pinball and the world behind it. Steve designed great games from the seventies right up until recently - that makes him a real hero. 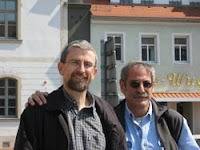 Since the GPO 2007 (see PGJ #127) we are friends and are in permanent contact. I like Steve very much and we are a similar kind of human being in many ways. Roger Sharpe is pinball from foot to head. He can tell pinball stories all day long without stopping! He lives pinball. 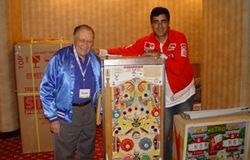 Roger is a good player, tournament organizer, designer, collector, worked in the industry for many years (still doing WMS licenses), is a pinball father .... is there a pinball role that he does not fulfill? He is Mr. Pinball in person. TPB: Germany has always been a big market for pinball, is there now a large enthusiast community and what is your role? MW: The German market was a big market and the arcades were full of pinball from the end of the 70s. In the beginning 90s the pinball comeback in Germany was tremendous - many games were operated. 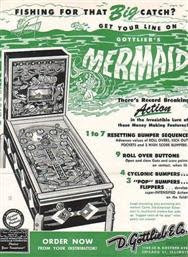 Today the commercial importance of pinball is low - caused by many facts - but years and years with many games on the road 'infected' people in 70s (like me) and in the 90s (So many people who call me remember starting to play on The Addams Family and their first question is: Do you have an Addams Family game?). 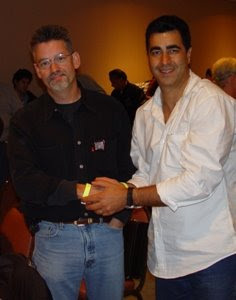 In 1996 a pinball friend of mine, Bernhard Wagner, organized the first German Pinball Convention. 26 players and collectors met and decided to found a club - which became the GPA 'German Pinball Association' - founded 1997 in Munich. From 1996 we organized 2 pinball events each year - a spring event with the German Pinball Open (call GPO first time in Cologne 2000) and the GPA championship in autumn. 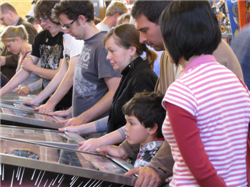 To spread the word - and make pinball popular in all regions of Germany our events took place in many different cities and locations - small and big - more private or with extreme PR (like Munich 2003). From the beginning in 1996 I have always been one of the main helpers - first in the background, but then more and more in the foreground. As GPA vice president and president, as convention organizer, GPA parts and lists responsible and much more. My wife knows how many hours that work took - and with the beginning www our community grew and grew. Currently the GPA has more than 200 members - I am no longer in direct responsibilities but I am doing a lot of background work and action. 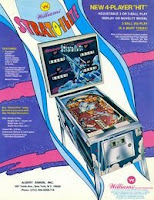 I am also a moderator in the forum www.pinballz.net (which has also english parts!) that is cooperated by the GPA. TPB: Who, that we haven't already featured, would you like to see interviewed for Pinball Heroes and why? MW: I would like to hear Eugene Jarvis being interviewed. 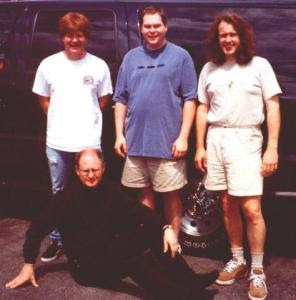 He did the software in the early days of pinball together with my friend Steve Ritchie. 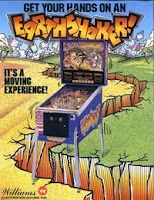 As I am a software Engineer - I like to hear pinball software stories and stories of the great time of pinball (and also video - like Defender). TPB: Finally, we always ask our Pinball Heroes to sum up their involvement with pinball with one word or sentence. MW: For me pinball is more than a passion - it is part of my life and after family and work the most important thing in my life. Many thanks to Martin Weist for his great answers. There's a big ol' world of pinball out there yet the same few people have touched the lives of so many. OK, so Todd MacCulloch might be better known for playing basketball than pinball, but he's hoping that's all going to change. 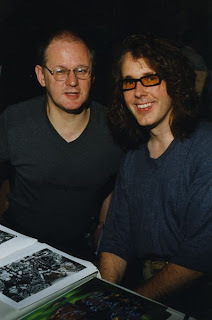 With NBA being Stern's next pinball machine and with Todd coming to the UK in the summer to play in the European and World Pinball Championships it seemed a perfect time to catch up with him for an interview. 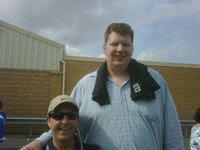 The Pinball Blog: So you're Todd MacCulloch, do you want to be remembered as a basketball player or pinball player? Todd MacCulloch: I would like to be remembered as a pinball player but only on NBA Fastbreak. Just Kidding. I think I would like to be remembered for pinball but that seems like a bit of a longshot at this point. There is really nothing memorable about my pinball skills at this point. I think my pinball opponents would remember swiftly defeating "the biggest guy at the show". Unfortunately intimidating size does little on the pinball battlefield. I think I am best remembered from my basketball career in that I went to back to back NBA finals in 2001-2002. If only I could get to one pinball final, that would be something I would remember. TPB: You earned a few dollars playing basketball, do you get the "he's got money" treatment when buying pinball machines or do you look for a deal? TM: I did earn a few dollars playing basketball. It is a little strange to have your salary posted in USA today at least once a year (while you are playing) for everyone to see. I think when I first started collecting games, I probably overpaid until I learned the range of what each title would cost an average Joe. Sometimes my friends would do the negotiating for me so there wouldn't be any funny business or phantom price increases. It would seem a little shortsighted for someone to try to take advantage because I wouldn't feel the need to be a repeat customer. The people that treated me equally and fairly saw me come back to them the next time I needed a new game. TPB: When you're playing in a pinball tournament is there a certain machine you hope you don't have to play (and one you do)? TM: I would rather not see Creature from the Black Lagoon. This game tends to end up being dreadful for me when it matters. I hosted a fun pinball competition last year at my home with 16 players. We needed to all play the same game to establish a starting point. We all played Creature. I posted the lowest score of all 16 players...ON MY OWN MACHINE! This put me in the lowest group of 4. I finished first in the next game on a different title and moved up to a higher group. The person with choice of the next game once again chose my killer CREATURE. Of course I finished last in our group and was once again banished to the lowest group of 4, where I stayed for the rest of the evening. The CREATURE had bitten me twice and I couldn't recover. I had a friend over who is a very casual player. He asked me which game in my gameroom he had the best chance of beating me. I told him honestly that that would be CREATURE. Once he defeated me in the first game, he quit playing, walked upstairs without giving me the opportunity to get even and told me he was done. He likes to remind me of that sneaky victory he had. Needless to say, I have since sold the CREATURE machine in favor of games that let me win every once in a while. On the flip side, I have seemed to have some success at EARTHSHAKER. Im not sure why, I have been able to keep the game going for a bit. I also sold this machine, go figure. TPB: When you were playing basketball you had arcades in 2 homes with pinball machines and other stuff from different eras of coin-op. When you sold your home in Philly did the arcade go with it? TM: When we sold our house in Philly, my gameroom games were not part of the deal. I had cleared the game spaces out before we started showing the home. 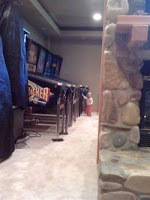 We were worried that someone interested in the home might get scared off by all the pinball machines. They might wonder what kind of normal good homeowner would have so many pinball machines. When we cleared out the basement of the pins (fairly jammed in there) several people commented, "I didn't know you had a sink down here!" as it has been well covered with pins. I rented a 53 foot truck and filled it with games and shipped them cross country to their new happy home. TPB: If you could only own one pinball machine what would it be? TM: That is a very difficult question. That's like saying if I only had one breath to take, how long could I live? I would have to ask myself if it would be worth living if I could only own one. Just Kidding. I think Whitewater would be my choice. I think the amazing Dennis Nordman nailed it with this game. It has so many cool elements and I personally love the theme. It is a very challenging game with great sounds. 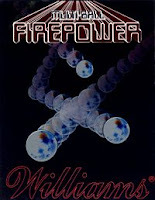 Whitewater,... instead of "don't leave home without it", " don't leave home without playing it!" TPB: You're coming to the UK this summer to play in the European Pinball Championship AND the World Pinball Championships, any chance you'll be winning them? TM: Yeah, if nobody else shows up. Or if we decided to compete at SUMO wrestling instead of pinball. Or if everybody lets me win. The pinball community is very generous but I just don't see this happening. I didn't advance past the opening round of EPC in Sweden so my goal will be to make it past the preliminary round. TPB: Of course being featured on The Pinball Blog must be one of your all time highlights but is there a moment in pinball that gets close to a basketball high? TM: Being featured on The Pinball Blog is definitely a highlight for me. As far as pinball, I really haven't had that many highlights. I suppose winning my first pinball trophy (2nd place) on Fireball at 2009 Texas Pinball Festival was my biggest pinball highlight so far. The most elation I have ever had from any kind of sporting event was winning the Provincial championship in Manitoba Canada in Grade 11. We were playing the defending champions and we won 61-59. I chipped in 50 for our squad. It was an out of body experience and I felt like I was on a cloud. I have never been able to quite recapture that feeling in any sporting venture, including the Olympics and 2 NBA finals. Maybe a big finish at a future pinball tourney will bring back that same feeling of weightlessness. At my current weight, that would be impressive. TPB: My wife and family think I'm a nut with all this pinball stuff, is yours more understanding? TM: My family has been very supportive. My baby girl is only 14 mos. old so she hasn't voted one way or the other but she can already reach and push the flipper button. She likes to add 3 players to my single player game by pressing the shiny blinking irresistable start button over and over. She loves to shift the gear shifter on Getaway. So far so good. My wife doesn't play on her own but usually agrees to play a few games with me on my birthday. I used to try to get her to play with me more but then I started to see things from her point of view. She likes to quilt, but if she said, "Todd will you come quilt with me? ", I'd have to say no. I don't take it personally any more if she turns me down for some silverball. 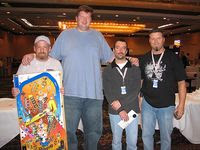 TPB: Who that you met through basketball was the most influential to you and the same question for pinball? TM: The most influential person I have met through basketball was an assistant coach of mine in college. His name is Ray Giacoletti. He helped me realized how good I could be and helped me believe it. He pushed when he had to, complimented when I needed it and gave me a kick in the pants when necessary. He helped prepare me for the next level of competition. The most influential person I have met through pinball is Bowen Kerins. There are a lot of similarities between he and Coach Giacoletti. Bowen has always believed I could be a good pinball player and has helped me improve my game drastically. The nice thing about pinball is that it is recreational so the kick in the pants is neither necessary or appreciated. It's hard not to listen to and respect someone who has been the best in the world at something. Can you imagine a kid at basketball camp telling Michael Jordan, "you don't know what you are talking about" or "you only won six NBA championships, what could i possibly learn from you." TPB: You've played in front of thousands of fans and on TV in front of millions. At a pinball tournament there's probably a handful of people watching but is the pressure similar? TM: The pressure of competition is very similar at a pinball tournament; Even if there are only a handful of people watching, at some point, the number of spectators becomes irrelevant. You have a job to do and there is something on the line, be it a city's pride, a lot of money or a plastic pinball trophy. Your mind makes the situation difficult. 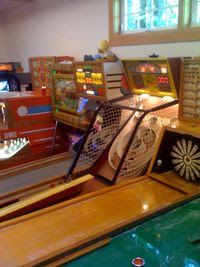 The best players, whether in basketball or in pinball, are able to block out the natural response to an important moment and play as if it is routine. Like you were shooting hoops in your backyard or playing pinball in your basement. This is easier said then done and experience makes it easier to do this. I felt some pinball pressure this past weekend. I had qualified for head to head competition in an electro mechanical tournament. Very little, if any money was on the line, yet I found myself feeling nervous even though my match wasn't for another 15 minutes. I performed poorly, which was not aided by the fact that I let the pressure get the best of me. Logically, there was no reason to get even the least bit worked up. A nice thing about basketball is that it is a team game and the calmness of your teammates and team leaders can have a positive effect of refocusing you during a big basketball game or possession. In pinball, (unless you are playing doubles) it is up to you to overcome the tendency to tighten up and place unneeded pressure on yourself. TPB: I think the people enjoying pinball today are generally more 'cool' than they were say 5 or 10 years ago, do you think pinball has historically given out the wrong image? 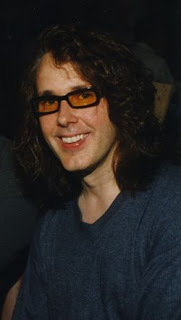 TM: I would agree, although since I was a pinball player both 5 and 10 years ago, I must have been one of the uncool guys playing and I was probably helping bring down the cool factor. That's one of the great things about pinball, is that you can't really generalize the type of person who is drawn to the game. it appeals to kids, grandparents, athletes, couch potatoes and everybody in between. The only real commonality I see running throughout the pinball population is that the vast majority of players are great people who are more than happy to open their game rooms for the enjoyment of a fellow pinballer. I am not sure what image pinball itself has given out over time. I think it definitely has been misunderstood at times. I think at a time it had a negative image when it was unjustly thought of as a gambling machine. Even today, people are always surprised to find out that pinball can have strategy and that there is more to the game than luck and just trying to keep the ball above the flippers. I really think if more people knew how great the game is and everything that they encompass, that the market would be much stronger. TPB: A little birdie told me you have a nice car collection, are some of these eye-candy as I guess you're a big guy to be driving some of them everyday? TM: I have three cars from the sixties. A 1964 1/2 Mustang Coupe, a 1968 Mustang Fastback and a 1969 Chevy Camaro convertible. I thought I was going to collect more cars but I started collecting pinball machines instead. More people get more use out of them and you can fit more of them in the space you could put one car. All of a sudden, the plans for a classic car garage started to change to become gameroom plans. I have no regrets about this. The old cars are more than eye candy. I really enjoy driving them on nice sunny days, especially the convertible. I have had them all modified by having the driver's seats unbolted and slid back as far as possible and rebolted firmly in place. I was once pulled over while in the 68 mustang. He pulled up next to me and said, "you look a little cramped in there!" I started wondering if he was going to give me a citation for operating a vehicle that I was too big for, possibly making it unsafe. I was relieved to find out he was a car fan and once traffic cleared, he instructed me to, "open her up and show me what she has got!" I wasn't sure if he would just pull me over again after but I followed directions and squealed my tires and peeled out. TPB: You're currently the 4th best pinball player from Canada, I didn't even know there were 4 pinball people in Canada! Do you compete because you enjoy it or are you out to win every time? TM: There aren't that many of us so I guess is isn't that great of an accomplishment. I will be proud to be representing Canada with one of the two Canadian exemption spots at the IFPA tournament in England this summer. I hope to do my country proud. I compete because I enjoy it. I would love to win every time but that's not why I play or compete. I've had plenty of meaningful sporting competition over the years so I don't mind some competitions for the fun of it. I like to be challenged and with all the great pinball players out there, it is always a challenge to try and stay with them as long as I can. TPB: You have a large collection of pinball machines, how do you maintain them all? Are you happy to pull the glass off, dive in and get your hands dirty? TM: I don't mind getting my hands dirty, when it comes to donuts with icing or eating chocolate cake with my hands. As far as pinball repairs are concerned, I leave that to the pros. I have two friends at Classic Amusement in the Seattle area who do a great job keeping my pins in order and working on my EM arcade collection. I used to tinker a little bit but I started melting innocent bystander wires with my soldering iron. I tended to make things worse rather than better so I decided to call in the experts. I enjoy picking their brain about what the problem areas were but it is more for my curiosity than for future application on my part. Some guys like to fix 'em, I like to play them. I'll take the glass off for stuck balls etc. but nothing too major. TM: "Perfect", as in the game of pinball is a perfect game. Everything you need to keep you coming back for more! Many Thanks to Todd for answering the questions, no one gets paid for being interviewed, although I did offer to buy Todd's dinner at the UK Pinball Show banquet - he accepted - d'oh! He's one of a number of great guys I'm looking forward to meet in the summer and he certainly comes across as a very cool guy! It's the Pinballers Anonymous Monster Meet here in the UK next weekend so no promises I'll have a Pinball Heroes interview done, but I'll try!